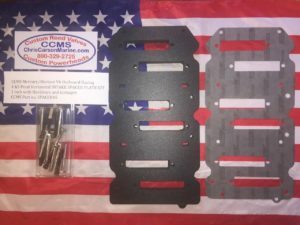 CCMS Mercury/Mariner V6 High Performance 1 inch Intake Spacer Kit for 2.0, 2.4, 2.5 horizontal reed motor with 7 petal intakes. Provides improved performance acceleration time, it’s light weight and it’s made of a heat insulating composite material! 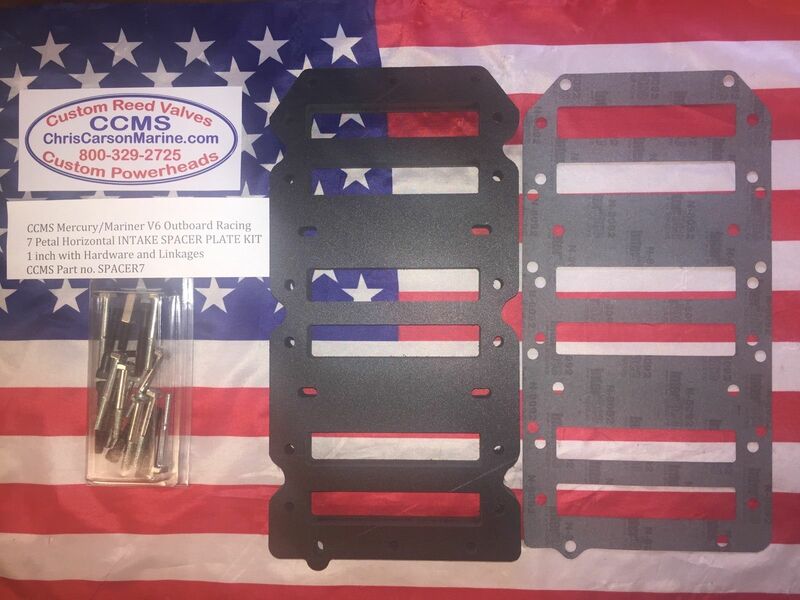 Kit includes: Spacer plate, gaskets, linkages and all the bolts and hardware needed to install. Note: Please email us after your purchase and let us know what fuel system setup your running on your motor Carb, EFI, Horn Style intake, we need this information to get you the proper gaskets for installing. To get the best result with your intake spacer we recommend running our CCMS Reed Valves.